Earth can be made more like Heaven. Amelia Bedelia what a wonderful girl. She has a problem free philosophy, Amelia Bedelia. She tends to make everyone around her crazy until she cooks something and then they are so taken by her kitchen magic that they always want her around. 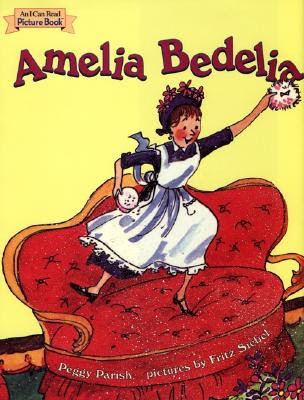 One Amelia Bedelia situation that I remember often is when she was asked to dust the furniture. Completely confused by this request, she finds "dusting powder" which is actually face powder and spreads it gleefully around the living room. What is it with the word dust? Recently I posted a recipe that said to 'grease' the pan and 'dust' with flour. I know this means to sprinkle all purpose flour over the shortening that I have carefully spread over my pan. But... when I dust the living room, I want to remove the dust and polish the wood. Dust is also the stuff that collects on said furniture thus needing to be removed. It's also the stuff flying through the air on a windy day in Idaho. And how about grease? It's something that splatters all over your favorite shirt if you forget to wear an apron when you cook bacon. It's something you put on a hinge to get it to stop creaking. It's something that has something to do with cars. And it's the process used to spread shortening onto your pan before 'dusting' with flour to keep your cake from sticking. Oh, and it's also what shortening or it's counterpart is often called. What a crazy language we speak. Amelia Bedelia (because you can't just say Amelia...) falls into these ruts all the time. Remember when she teaches the students to plant light bulbs instead of tulip bulbs? Or sprays water all over the bridal shower? Do you think there's a language out there without these kinds of confusing word plays? What are some words you've run into lately that play those kinds of games? 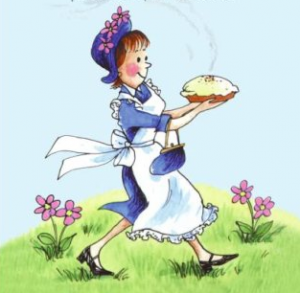 Do you have a favorite Amelia Bedelia conundrum? (did I use that word correctly? It's such a fun word I just had to use it. My little girls loved reading Amelia Bedelia!!! Oh the memories! 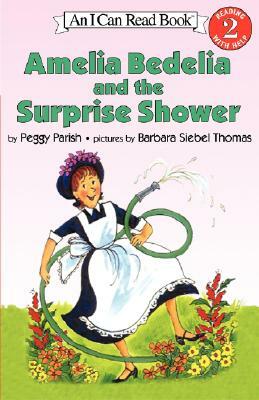 I HAD SOOOO MUCH FUN READING AMELIA BEDELIA S CRAZY DOINGS TO MY 5 YEAR OLD NIECE !!!!!! I LOVED IT WHEN SHE HAD TO PLANT THE BULBS !!!!! HILARIOUS !!!! I VE CERTAINLY BECOME A HUGE FAN !!!! !